Capt. BO Johnson and his kids, daughter Kylie & son Hunter, make SW Florida’s NaplesNews.com and MarcoNews.com in the “Catch of the day” segment (AUG 18th, 2011). 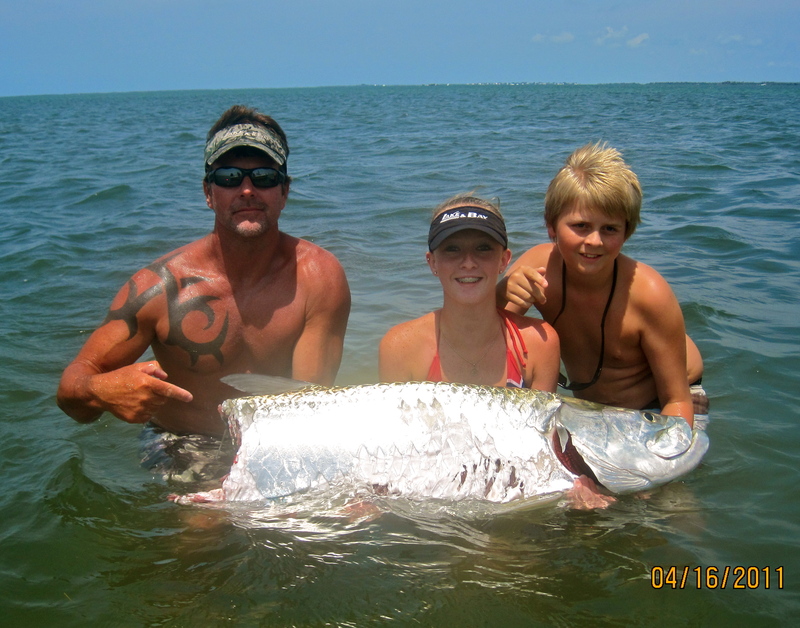 Earlier this year, Kylie’s was fighting a 180 lb tarpon when an est. 10 ft bull shark chomped it in half in a single bite. This is what was left of the magnificent Silver King! !